Thursday’s draft has come and gone and now us fans have time to debate whether Ernie Grunfeld did a masterful job or left us scratching our heads a little more. The Wizards acquired Kelly Oubre from Kansas after playing just one year in college and Aaron White from Iowa. Let’s dive into what each of these guys bring to the table. This guy oozes potential. He’s a 6’7 small forward with a 7’1 wingspan; great for the ever evolving wing position in the NBA. Oubre made his money in college (no pun intended) mainly on the defensive end and in transition. Since he’s longer, he played a hybrid SF/PF during his year at Kansas. His length allows him to be a great on ball defender from day one. The Wizards currently lack an athletic wing which was exposed during the Atlanta series. If Paul Pierce doesn’t return to the team next year, Oubre could find himself in the backup SF position behind Otto Porter right away. On the other hand, if Pierce does return, Oubre might not see the court at all. Going into next year, the expectation for Oubre should be to improve his perimeter defense as eventually, the Wizards will call on him to be the lock down guy. Additionally, it’ll be very fun to see him in transition with John Wall. Oubre’s length allows him to be a great finisher around the rim in transition. Playing along side Wall will only help that. If Oubre gets a running start, watch out as he is very nifty around the rim. The main knocks on him are that he doesn’t have a right hand and can’t create his own shot. Developing his right hand will come with time. In college, he was longer and more athletic than most of the players guarding him so he could get away with driving left every time. That won’t work in the NBA. Additionally, Oubre “Needs to get his” to stay engaged. At Kansas, Oubre was quick to jack up shots or force drives to stay involved in the game; even if it wasn’t within the offense. That will change very quickly once he gets to the NBA. This was probably just a 19 year kid thinking he was more athletic than everyone out there. All in all, this is a very solid pick at a position that the Wizards need to improve on. As stated, Oubre oozes potential and should really develop into a nice player once he locates the weight room. Unfortunately, he’s a project. This will require us Wizards faithful to remain patient as he is not a guy who will step in and have an impact right away. I still think Bobby Portis made more sense but only time will tell. Second round picks are always a coin flip. A lot of second rounder’s don’t even make the roster, many find themselves on the end of the bench, and others become journeymen. White was the best player on an Iowa Hawkeyes team who averaged 16.4 points and 7.3 rebounds during his senior season. He’s sneaky athletic and is capable of knocking down 16 to 18 foot jump shots. White has a high basketball IQ and capitalized on there being a lack of athletic power forwards in the Big Ten. White was essentially a mismatch in every Big Ten game as most Big Ten power forwards cannot stay in front of him or match his size. He shot a very effective 52 percent from the field last year including 81.9 percent from the free throw line. White is best in transition and around the rim. He can run a fast break with his ball handling skills and dunks the ball (rather than laying it in) when around the rim. The biggest question mark here is will his athleticism translate to the NBA game? 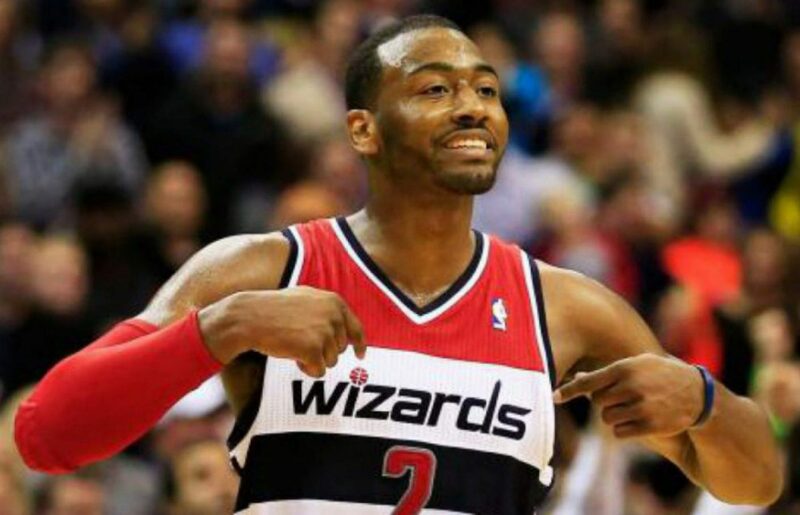 The Wizards are clearly trying to bring him in as a potential stretch-4 as he can knock down jumpers. It’s a little head scratching that they are sending him overseas right away. I don’t understand why you draft a guy and send him overseas hoping that he develops into an NBA player. Very rarely do guys who get sent overseas come back after a few years to become a contributor. Then again, this was a late second round draft pick so you obviously aren’t expecting this guy to be a franchise-changing player either. I hope I’m wrong but this pick feels a lot like the Chris Singleton pick from a few years ago. Management is showing that they are trying to adapt and draft a stretch-4 but when it’s all said and done; this player will probably have little to no impact on the team. The main takeaway from this draft is that the Wizards are drafting players who fit the evolving NBA. However, both of these guys are projects, especially Oubre who is very raw. Neither player will step in and be a main contributor right away. But that’s okay. Patience is a virtue, and it’s no different here.